First published in 1677, Spinoza's Ethics uses a logical step-by-step format to build a major critique of the traditional foundations of philosophy and lay out an ethical system in which reason is the highest principle. 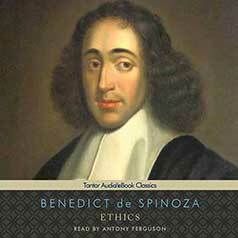 Benedict de Spinoza's Ethics, first published in 1677, constitutes a major systematic critique of the traditional and religious foundations of philosophical thought. In it, Spinoza follows a logical step-by-step format consisting of definitions, axioms, propositions, proofs, and corollaries to create a comprehensive inquiry into the truth about God, nature, and humans' place within the universe. From these broad metaphysical themes, Spinoza derives what he considered to be the highest principles of religion and society and lays out an ethical system in which reason is the supreme value. A seminal contribution to 17th-century rationalism, Spinoza's Ethics refutes the dualism of René Descartes and provides a bridge between religion and modern-day psychology. This edition is the translation by R. H. M. Elwes.